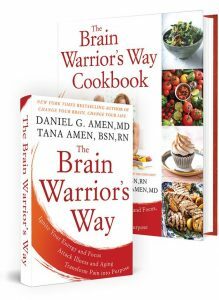 Daniel Amen:	The Brain Warrior's Way podcast is brought to you by Amen Clinics, where we transform lives for three decades using brain SPECT imaging to better target treatment and natural wayS to heal the brain. For more information, visit amenclinics.com. 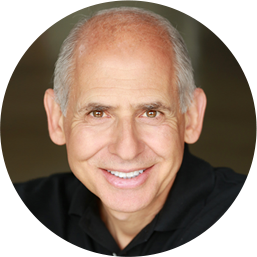 Daniel Amen:	Welcome to the Brain Warrior's Way podcast. We are so excited to have our new friend. Tom Bileyu, who I got to meet at the big success event in Dallas. Tom is the cofounder of Quest Nutrition, a company that is now valued over a billion dollars. I see Quest bars everywhere, I help to support that company by the cases of Quest Bars that I have eaten over the years. He's also the cofounder and the host of Impact Theory, which Tom will tell us about. Tom's mission is the creation of empowering media-based intellectual property and the acceleration of mission-based businesses. I mean, clearly Amen Clinics and the Brain Warrior's Way are mission-based, no question. Personally, he's driven to help people develop the skills they need to improve themselves in the world, and he is a forever student. Tom, we just couldn't be more excited to have you on the Brain Warrior's Way podcast. Tom Bileyu:	Thank you, guys. I am excited to be here. I certainly have the good fortune of telling Dr. Amen this in person, but you have had a massive impact on me and it all started with Making a Good Brain, Great. I am obsessed with the brain, and reading that book, and I've since read multiple others of your books as well, but that one really kicked it off for me and the whole notion of automatic negative thoughts and really has been a very powerful, powerful notion in my life, so I am truly honored to be here today. Daniel Amen:	We're going to break this into three episodes, so the first one, I want our audience to get to know who you are and your journey to health because I think anytime they hear about someone journey to help their takeaways for them. The next one we're going to talk about angst and how to squash the automatic negative thoughts, which is ... It's a critical life skill. Then, we're going to talk about how mindset can change your life and business. Tell us your journey to health. As I watched you at Success Magazine, it was just fascinating, so tell people a little bit about your journey. Tom Bileyu:	Sure. I grew up in a morbidly obese family and that was ... Honestly, it was invisible to me. I really took it for granted. I didn't think much about it when that's ... It's the whole concept of David Foster Wallace, this is water. For me, that was water, eating a horrific diet, which is part of how I grew up. I loved the food so I didn't really think about it. I was always a little bit chubby as a kid, but compared to a lot of people in my family, I very much got off light, not because I was making better choices, I just got lucky. It wasn't until later that I really started to think about, from a diet perspective, the implications because I saw so many people in my family struggle ... I was about 12 years old, I had an uncle that died of complications from his diet, and that was very, very sad. Seeing that, seeing somebody who's a shut-in and doesn't leave the house and who really can't get around and just have a high functioning normal life was very sad and left a lasting mark on me. That was something that I thought a lot about. As I got older and saw my mom and my sister really struck me profoundly with depression, and that was the big thing, especially my sister to watch her go from this vibrant, just amazing human being to really closing in on herself and not being happy and not having the joy in her life, and I just really became obsessed with the notion of what would it take to help her be happy? I started going on my own weight loss journey when I went to college where most people put on the freshman 15, I lost freshman the 35. Tom Bileyu:	Yeah, I was just really obsessed with doing well at college. It was the first time in my life where I was doing exactly what I wanted to be doing, I was taking a lot of student loans and was really just obsessed with getting the most out of college. I didn't try to make any better choices unfortunately, but just found myself in a position where I was working a lot, a lot, a lot and then I was poor so I didn't have access to snacks and soda and things that I had growing up. In that accidental lifestyle change, really saw a big transformation in my physique. I happened to bump into a girl that hadn't seen me in several years and she was taken aback and said, "Wow, it's crazy. I always thought of you as the chubby kid." That was this moment where my life got knocked sideways and I re-envisioned my whole childhood because compared to my family, I was in such better shape that I never really thought of myself like that. It was this really eye-opening moment. Growing up as a kid, I always knew that there were two things that would ultimately be true about my life, and that's one day I would be rich and one day I would have six-pack abs. I had no idea how I was going to accomplish either thing, but those were two things that I was really interested in making coming true in my life. To cut a long story short, I started working out and I started taking my health seriously and don't really understand this point much about nutrition, don't know who to listen to, and I'm still stumbling my way through the things. I remember my roommate at the time, his girlfriend ... because I eating red vine licorice because it was fat-free, and I remember her saying, "Well, I think that if you eat too much sugar that it can actually become fat." I thought, "That doesn't even makes sense. How on earth would sugar become fat? They're totally separate things." So that shows you where I started. I end up meetings these two guys who become my cofounders at Quest Nutritional, but this was about a decade before that, and they were in great shape, really understood nutrition, understood human metabolism and really became my first mentors with that, with working out, and that began a big journey there. At the same time, I really felt powerless in my life and didn't know how to get control of what I wanted. If I was going to make myself wealthy, the only thing I knew was there was something standing between me and that, and I began to really understand mindset, that, and really beginning to struggle quite profoundly with anxiety led me to studying the brain relentlessly, reading as much as I could, discovering your work, Dr. Amen, which was very influential, especially in the early days of really just trying to grasp what the brain is and how it impacts us and how I should be thinking about it and protecting it like it an organ. Just all the things that you really teach, I had to learn. I was starting from ground zero and didn't understand just how much the brain controlled us. For me, it really was the movie, The Matrix, that gave me the metaphor that I needed understand to really understand the way that the brain was creating my entire reality. Once I had that concept of The Matrix, which in the movie is, essentially a virtual world that we're stuck in and don't realize it, but taking that as a metaphor for that's the brain, and the brain is constructing this world. It's in total darkness, total silence, and then it creates this very believable representation of the world around me, but ultimately, it's a representation. Once I understood that, understood that it was this construct and I needed to really understand it. I needed to understand the way the brain worked, that it may have my best interest at heart but it wasn't always telling me the truth, and that I needed to really dive into that and learn that I really just started reading, reading, reading obsessively about the brain and beginning to formulate and understanding of that. Then, that really led to the biggest gains, both physically and mentally from a health perspective, for me, was understanding the brain. That's become the root of all of my success, which I will credit really to reading and just understanding the way the brain functions. That's really my story of my [inaudible 00:09:34]. Tana Amen:	Wow. I applaud you because you look really young. When you said they were your partners but not until a decade later, I'm like ... because you look really young, so that's impressive. Tana Amen:	I'm curious, so you talked about your sister and your mother, has your lifestyle changed ... You said you wanted to impact your sister and her depression, did it? Did you have an impact on your family? Tana Amen:	It's addictive, right. Tana Amen:	It's the norm. Daniel Amen:	That with two thirds of us overweight, almost 40% obese, that it's becoming the norm, and people aren't upset about it. I have this great story of one of our best friends, Mark Glaser, who was diabetic, overweight, and when I watched him order chicken fried steak with mashed potatoes and gravy at dinner, we were at a conference together, I asked him how tall he was, six feet, I asked him how much he weighed, 244 pounds, I calculated his BMI, it was 33. Normal is between 18.5, and 25 over 30 is obese, and I'm like, "Dude, you're obese." He said, "Daniel, you're so cold." I said, "Not nearly as cold as you're going to be when you're six feet under." It shocked him, and the next month he lost 10 pounds and the next two years he lost 53 pound and he cut his insulin dosage in half. But so much of our world is living in this toxic level of denial that is literally damaging the health of our society. Tana Amen:	You said one more thing that I really, really want to highlight because it's a big philosophy for us in helping people get well and I love what you said. We tell people there is no suffering in getting healthy, it's about abundance, but you have to replace not erase. The human brain is not designed to enjoy deprivation. What you did with your sister was brilliant, so she had to replace those M&MS with something else. You can't just cut stuff out, you've got to replace it with something healthy. That's what I do, I help people replace the things that they're removing with something that they will enjoy equally or more and that's going to make them healthy. What you did was perfect. That was just brilliant. Love that. Tana Amen:	No, it doesn't work. Tana Amen:	Everyone knows that. No one's doing it. Tom Bileyu:	It's crazy, right? That was our whole thing was we want to make food that people can choose based on taste and it happens to be good for them. That's really the only way for it because we know that people are going to eat for pleasure more than they're going to eat for sustenance, so address that, be honest about that, be real about it, and I think that's the way the whole food industry has to go. Tana Amen:	No question. That's why in the cookbook I just wrote ... there's blueberry muffins, there's brownies, but they're grain-free, dairy-free, gluten-free and they actually taste good ... and they're sugar-free and they taste good. People don't know it's possible. You have to show them. We all have a gift, your gift, like my gift, is you were able to show people the possibility and that's amazing. I applaud you for that. That's just awesome. Daniel Amen:	The growth was incredible. I mean, it was astronomical. Talk about that and how you managed the stress in your own life that goes with that kind of growth. Tana Amen:	And how you still like look young and don't have gray hair. That's pretty amazing. Tana Amen:	Okay, me too, obviously. Tom Bileyu:	The growth was crazy, and it was 57,000% in our first three years alone, even more if you carry it out in four or five years, just absolutely bonkers, and it really came down to a couple things. One, the product was real and it worked, and that's obviously a huge deal, and then, two, we understood social media really before anybody else. We started thinking about the company in 2009, everybody was saying that Facebook was just a distraction, how is this ever going to be valuable to a business? We just understood, "Look, this is about community building, this is about people now have a megaphone and they can say something positive or negative about you within minutes of an interaction with your company into a global audience." We understood the power in that and we just so wanted to deliver value because we had spent such a long time really just focused on getting rich, making money, building a product that was fine but wasn't a passion, and I got so fed up about that that I literally went into my partners and I quit, I said, "Look, I cannot do this anymore. I need to live a life where I feel alive. I need to be passionate. I need to be helping people. I want to be driven by value. I want every day to be about coming in and trying to deliver value to somebody's life. I would feel good, I can get excited about that." They said, "You know what? We actually feel the same." So we agreed that we would sell the company and that we would start something new that was predicated entirely around building value, building community, doing something great for people and really having a big mission, the whole notion of any metabolic disease, we understood. That was a huge thing. We thought it would take us about 25 years, just a really, really big mission, but if we could wake up every day and come into work doing that, we would love it even if we were failing. That concept of doing what you love, even if you're failing was so important and it was so transformational for us that that really changed everything. Tana Amen:	Yeah, one of my favorites. Tom Bileyu:	If you can survive a concentration camp by knowing why you're fighting, by knowing exactly what it is that you want to make come true, you can do anything. To be honest, I didn't feel a high degree of stress ... Quest was a lot of work and it was just an overwhelming amount of hours that we had to put into it, but I was thinking everyday about my mom and my sister and I was thinking about all the people that struggled like they struggle, and it was so real to me and it was people that I knew and loved and didn't want to lose that you show up and you're putting that effort in and you feel like, "Wow, I'm really bringing value," and people are leaving comments like, "Oh my gosh, you've changed my life," and they're submitting these transformations ... My sister's transmission was one of thousands of people that wrote in and said, "I've lost 100 pounds," or 150 pounds, and it was just unbelievable. It gets really easy to fight through the hard times when you know what you're fight for. Tana Amen:	Well, your passion, it's infectious. It's really cool. It's fun to see that. That's awesome. Daniel Amen:	We are so excited. Well, we are going to stay with Tom, and on the next podcast we're going to talk about how to squash the automatic negative thoughts and how important that has been in his life, but it's a critical skill you need in your life as well. Stay with us. 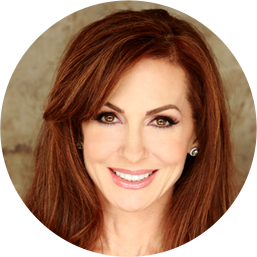 Tana Amen:	Thank you for listening to the Brain Warrior's Way podcast. We have a special gift for you, it's an opportunity to win an evaluation of the Amen clinic, all you have to do is subscribe to this podcast, leave a review and rate us on iTunes.